Immediately south of Rangeley Lake Resort, almost within walking distance, is a nameless scenic pull-off right off Main Street that gives you a glimpse of that lovely Maine Scenery. Gaze over the lake, rolling hills and islands, and consider it your introduction to the wonderful Rangeley Lakes Region. 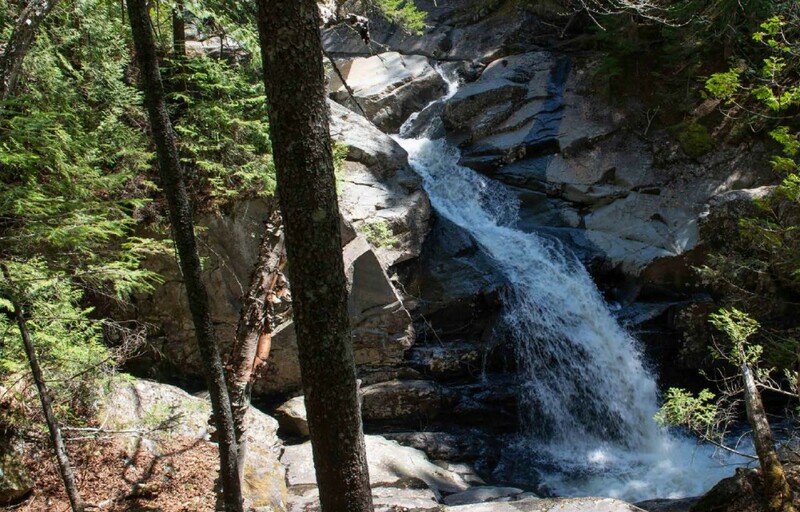 Take Maine State Route 17 to Height of Land, a scenic drive where the land drops off to the west and the view opens up to the New Hampshire border. This area on top of Spruce Mountain in Rangeley overlooks a wide, picturesque valley, the centerpiece being Toothaker Island and Mooselookmeguntic Lake. The Height of Land is part of the 32-mile-long Rangeley Lakes Scenic Byway, so there’s room to roam and make it a day trip with a picnic lunch if you’d like. The area includes 500 acres of protected forest from Bemis Stream and Upper Richardson Lake in the southwest to Rangeley Lake in the north. In 2011, the Rangeley Lakes Heritage Trust used federal grant money to create roadside seating areas out of native stone. Take advantage of their generosity by taking a seat and enjoying the view.